Home Archive by Category "news @en"
The Düsseldorf-based Druckstudio Group has won again in the leading industry competition. The print and media service provider has been given the prestigious Druck&Medien Award for being the best print shop in Germany in the “Commercial Printer of the Year” category. As well as this gold award, the company also won bronze in the “Most Environment-Oriented Company of the Year” category at the award ceremony in Berlin on 26 October. Organised by the “Deutscher Drucker” publishing house and presented every year since 2005, the Druck&Medien Awards are among the most prestigious accolades in the German printing industry. The glamorous awards gala event was hosted by TV presenter Judith Rakers. The Düsseldorf-based Druckstudio Group has successfully passed three re-certification audits at once. 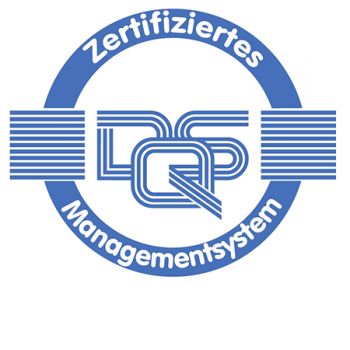 In addition to the internationally recognised standard for energy management (DIN EN ISO 50001), it was also certified to the revised standards for quality management (DIN EN ISO 9001:2015) and environmental management (DIN EN ISO 14001:2015) in 2017. These certifications provide further proof of the Group’s consistently strong focus on quality and the environmentally friendly and energy-efficient production of its print products. The Druckstudio Group has now won the prestigious Druck&Medien Award in the “Business Report Printer of the Year” category for the second time in succession. As well as the gold award, the company also won silver in the “Most Environment-Oriented Company of the Year” category at the award ceremony in Berlin on 3 November. 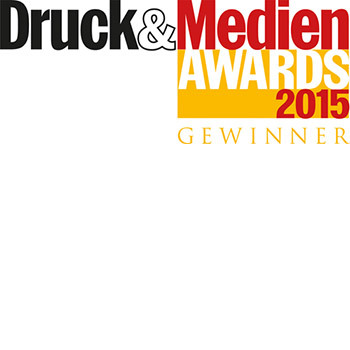 The Druck&Medien Awards are the most important awards in the German printing industry. The awards gala event was hosted by TV presenter Judith Rakers. The Druckstudio Group has won the prestigious Druck&Medien Award in the category “Business Report Printer of the Year”. Werner Drechsler, Managing Director of the Druckstudio Group, accepted the award at a ceremony in Berlin on November 5. The Druck&Medien Awards are the biggest and most important awards in the German printing industry. 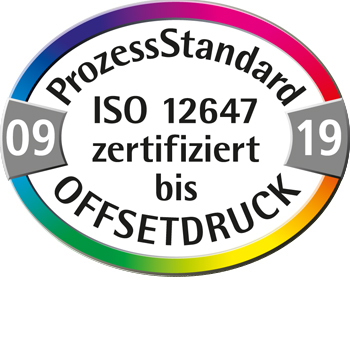 Following its fifth successful certification to ISO 12647-2, the Druckstudio Group has once again obtained the coveted PSO seal of approval. The company has been certified according to the criteria of the Offset Printing Process Standard since 2006. The panel of 31 judges for the prestigious Druck&Medien Awards has announced the finalists and winners for 2015. This year, entries from the Düsseldorf-based Druckstudio Group have received a total of five nominations, making it onto the shortlist in the following categories: “Commercial Printer of the Year”, “Business Report Printer of the Year”, “Catalogue Printer of the Year”, “Digital Printer of the Year” and “Most Environment-Oriented Company of the Year”. The Druckstudio Group has successfully passed three re-certification audits at once. This re-certification to the internationally recognised standards confirms the company’s consistently high commitment to quality and the eco-friendly, energy-efficient production of its print products. 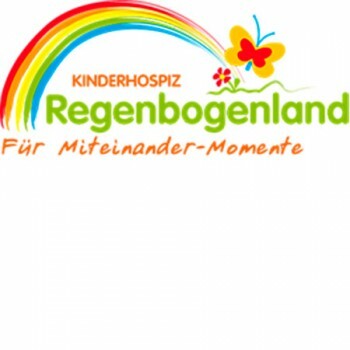 The newspaper of the Regenbogenland children’s hospice has been published every spring and autumn since 2004. Since October 2010, the Düsseldorf-based Druckstudio Group has produced the newspaper in runs of 10,000.